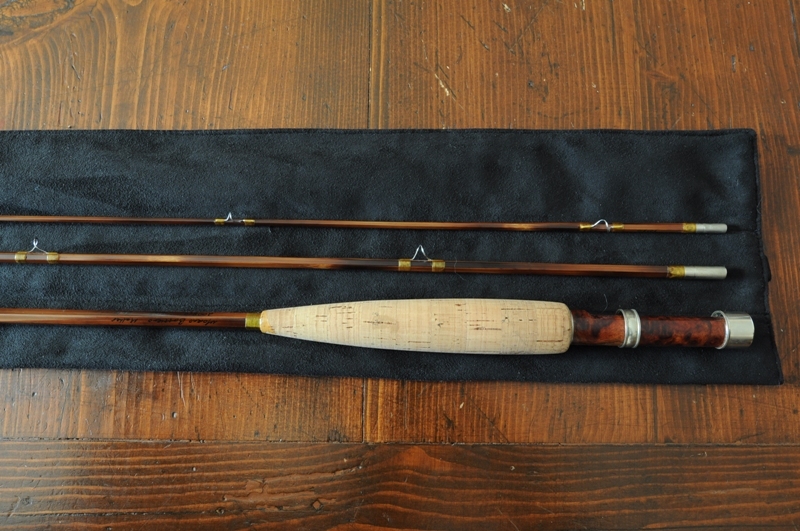 New - dark flamed 7' 6" rod in three pieces and hollow built. Medium fast action for a 4 or 5 weight. Nickel silver ferrules and Bellinger reelseat. Black Alcantara rodbag. On request - wooden octagonal rodtube.